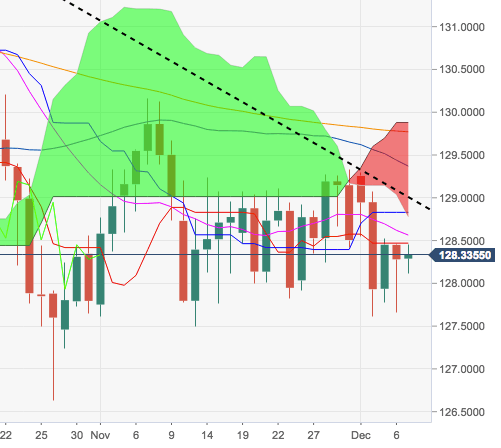 EUR/JPY is struggling for direction at the end of the week, with the daily range limited around the 128.60 region, where converge the 10-day, and 21-day SMAs. While below the short-term resistance line, today at 129.00, there is still room for a visit to November’s low at 126.61. In the near term, the 129.00 handle and above remains a formidable resistance, coincident at the same time with the base of the daily cloud.